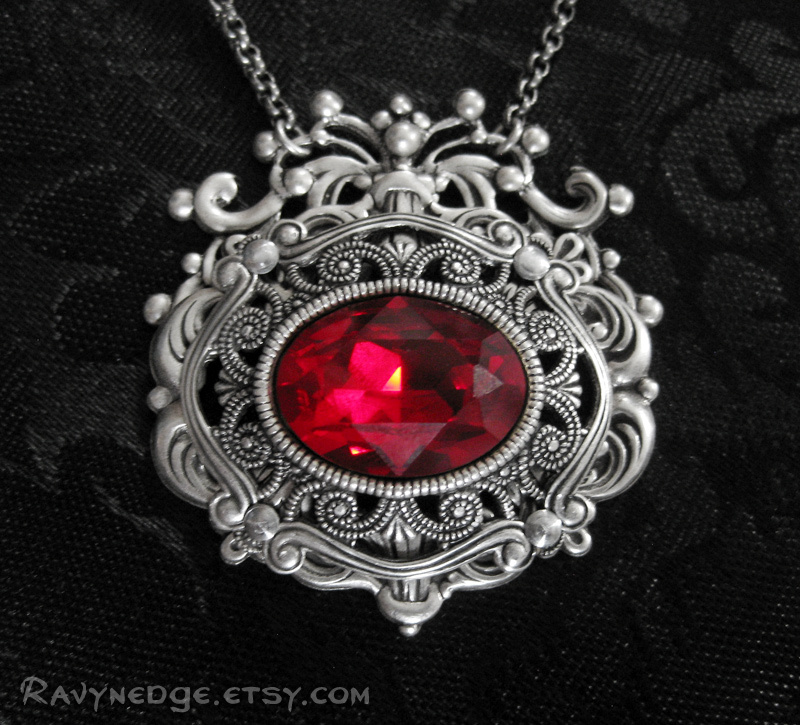 Scarlet Aristocracy Necklace - Siam Red Swarovski and Silver Filigree Pendant by RavynEdge. 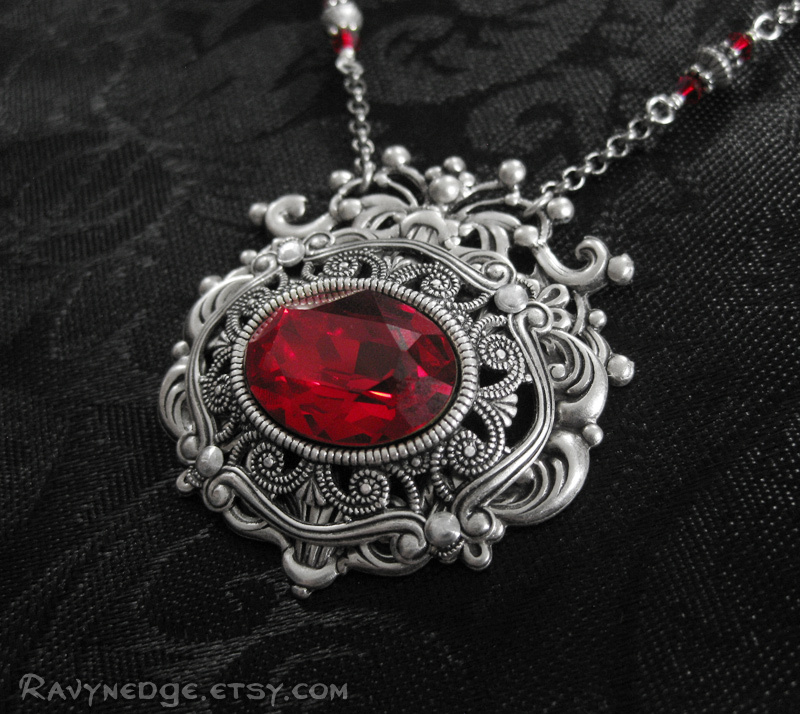 A dazzling siam red Swarovski crystal is set in layers of lavish sterling silver plated brass filigree. 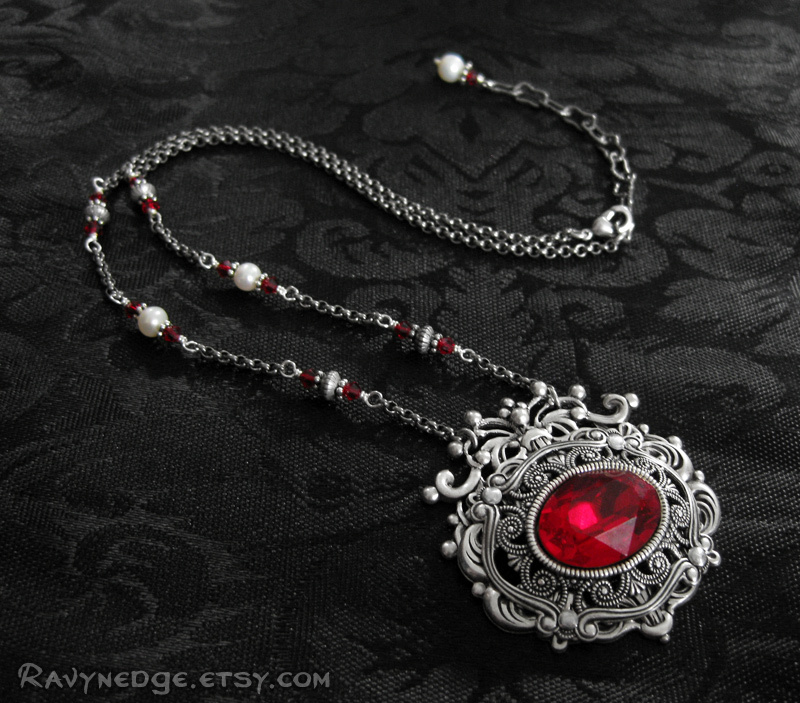 Beads of freshwater pearls and siam Swarovski accent the chain assembly to complete this stunning necklace. 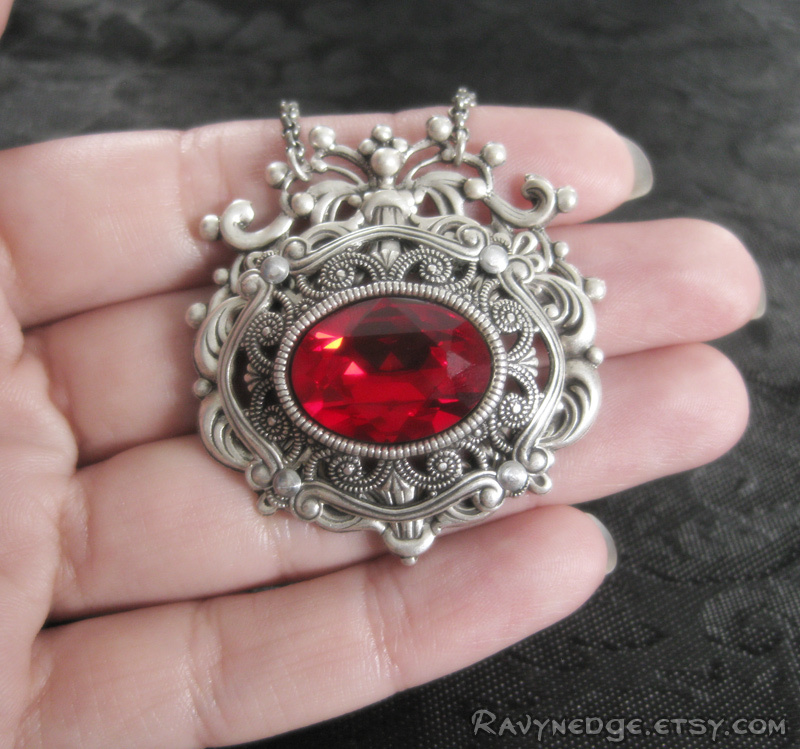 The pendant measures 1.73in (44mm) in height and 1.65in (42mm) in width. 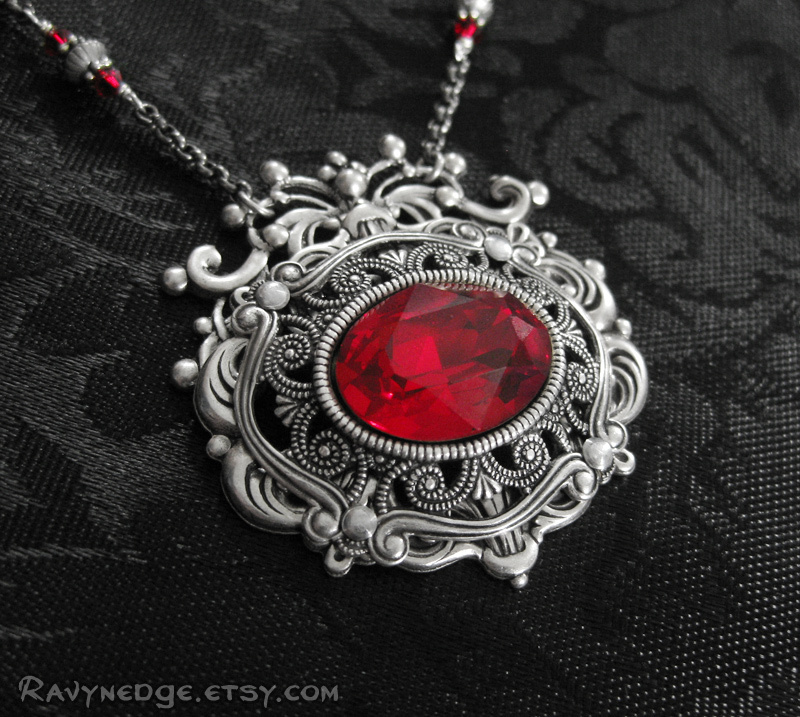 The necklace length adjusts from 16 to 18 inches (40.6 to 45.7cm) and closes with a lobster clasp.